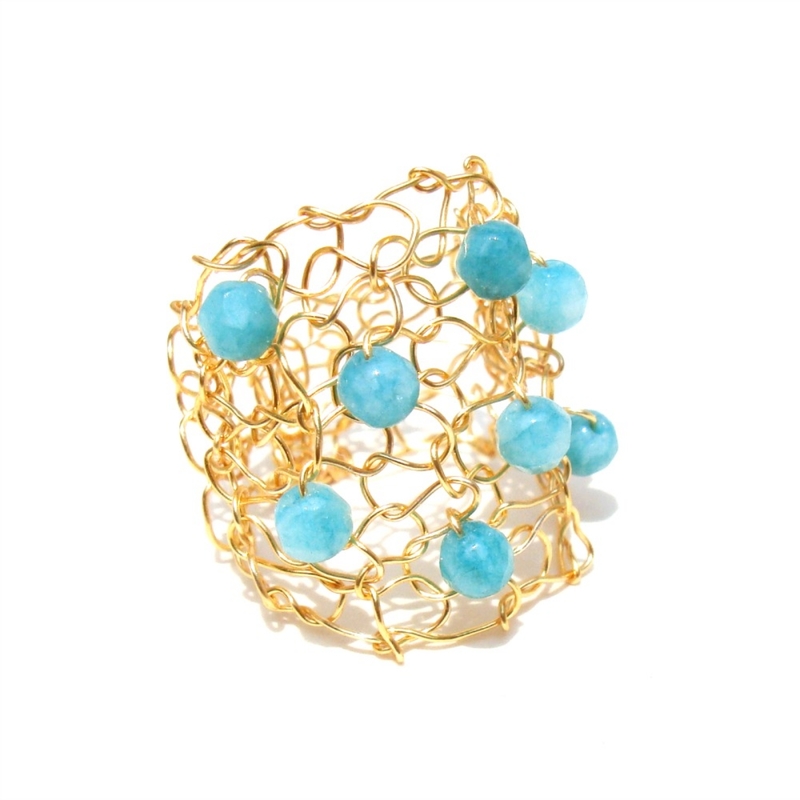 The perfect Summer ring hand knit with fine gold wire and blue green aqua Caribbean agate stones. These funky wire knit rings are so much fun to collect and so unique, people are sure to notice. It can be knit to be 1 1/4" to be a full half finger ring - or 1" for those with smaller fingers. Knit to specified US ring size - in whole sizes.